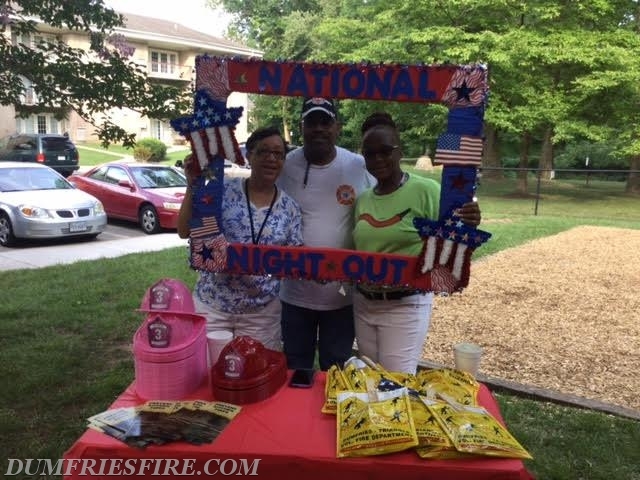 Shenandoah Station Management and Community Residents would like to thank Dumfries-Triangle Volunteer Fire Department for coming out and supporting our National Night Out event on Tuesday, August 1st. It was a fun night for all involved and a pleasure spending the evening with our local Volunteer Fire Department. Thank you for helping to set-up, bringing out the engine, fire fighter hats and goody bags. Your contribution was a pleasant surprise. I have attached a few pictures for you all to share and will continue to keep you posted on our community events.